Home > Blog > How KIND of you! 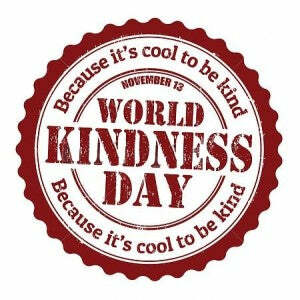 Today we revel in the good will of humanity as it is World Kindness Day. What better reason to celebrate something about ourselves than the boundless expansion of human compassion. Appreciated by everyone, kindness never grows weary, never dies out. It fights the good fight and always remains, standing victorious over the likes of carelessness and greed. It’s good to be kind. Kind acts spread kindness. But it doesn’t only benefit others. No, siree! 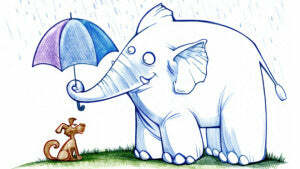 Committing random acts of kindness is certainly advantageous to you as well. How can treating others nicely benefit me? you wonder. Well, simple—it makes you feel like a good person! After all, being mean STINKS! It’s no fun to be mean. Much better to see the good in yourself and everyone else whose lives you touch. In order to help the kindness chain to spread beyond you, I compiled a list of ideas you can use to help make someone’s day by delivering a random act of kindness. If you can put one of these ideas to good use (or an act of kindness you thought of on your own), then you’ll have had a successful Kindness Day! Rake your neighbor’s yard along with them. Your neighbor will really appreciate you cutting their work in half! Pick up trash. Taking care of litter in your yard or around your neighborhood is a wonderful way to keep your area looking nice. Your neighbors will appreciate it as well. Help out around the house. Making dinner or doing the dishes afterward is a great way to pitch in and keep your home a happy one. Help keep your classroom clean at school. Your custodian will really appreciate that. Bring your teacher a little token of appreciation. It doesn’t have to be an apple, but your teacher would probably love it if it was. I hope you find these ideas helpful! And don’t forget, while it’s important to squeeze in some kindness today, especially, it’s important to keep kindness alive every day. Thanks for reading.